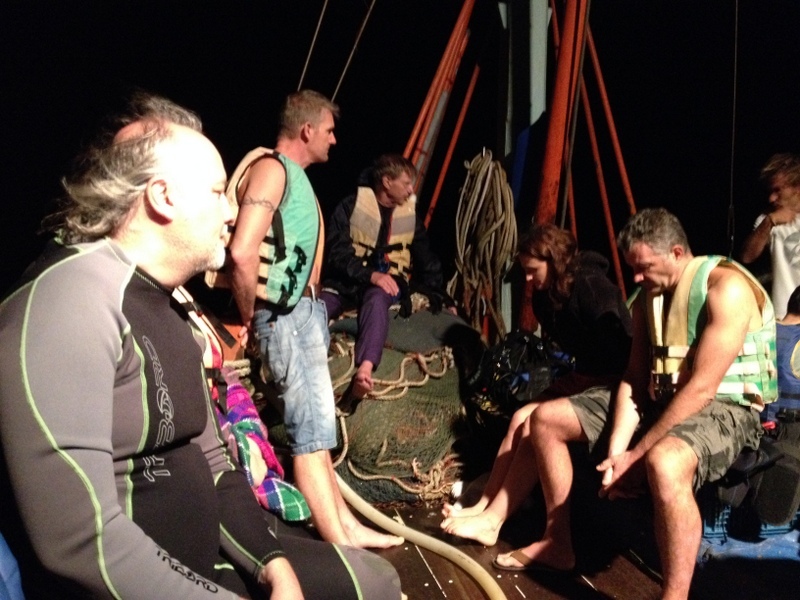 PHUKET: The Phuket News has learned that 15 French tourists were rescued after the dive boat they were on caught fire and sank around 60km southwest of Koh Lanta on February 1 – the third dive boat to sink in the past three weeks. 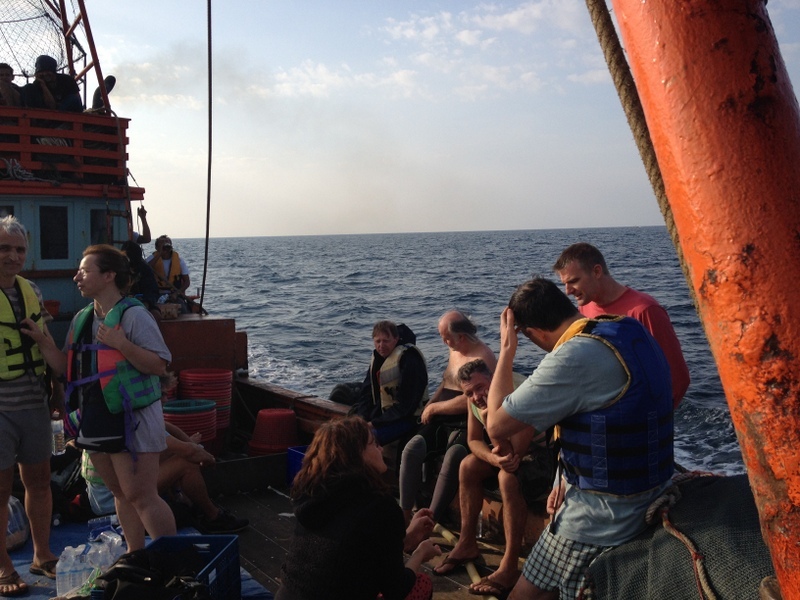 Smiles of relief after the sun comes up over the crew and divers aboard the fishing boat that rescued them. 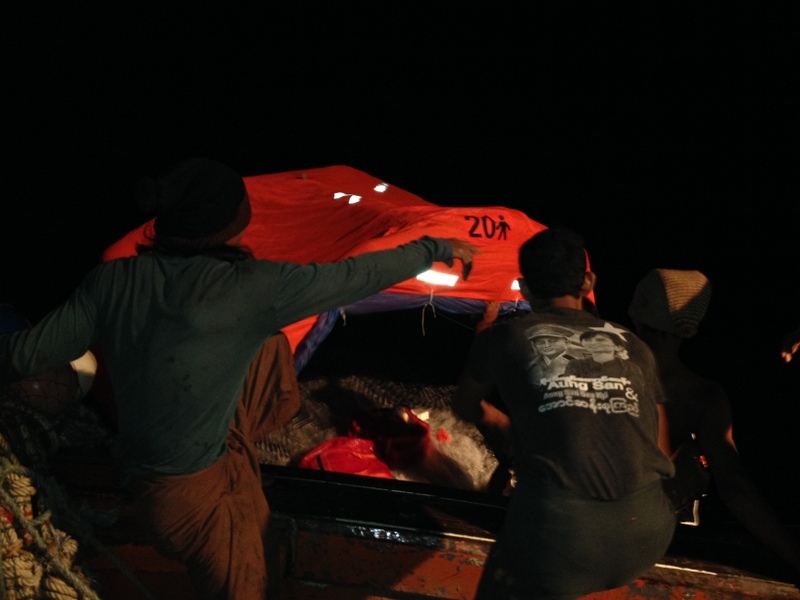 The Bunmee's crew finally get the life raft inflated. 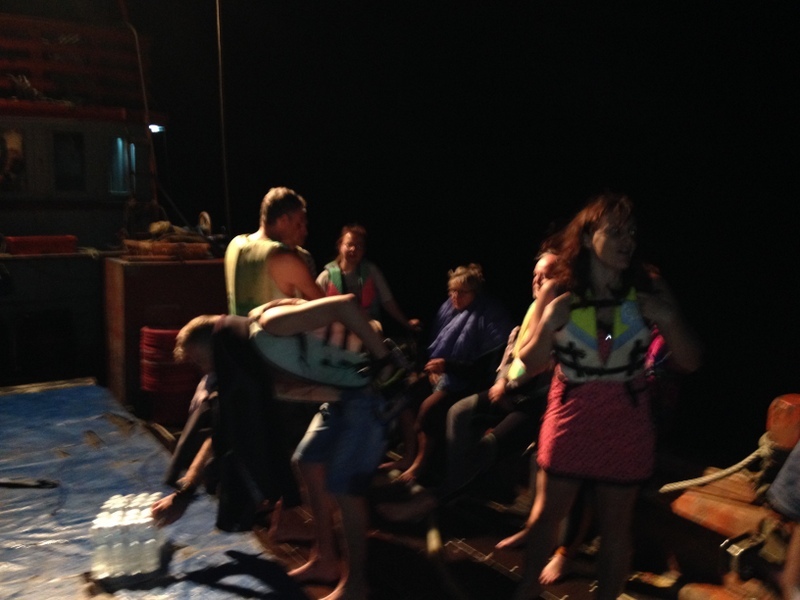 Crew and passengers wait to be evacuated from the Bunmee I. As the fishing boat moves away the Bunmee burns. The Bunmee is hidden in a pall of smoke. 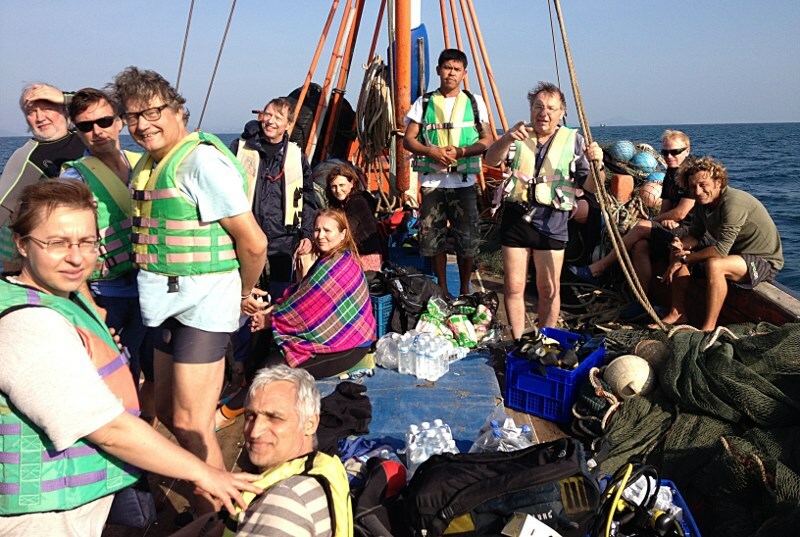 On board the MV Bunmee I liveaboard dive boat, owned by Kata-based French company Andaman Scuba, were 20 people – 15 French tourists ranging in age from 38 to 67, and five crew members. The sinking has been kept very quiet until now, with rumours but no facts circulating in dive industry circles. Details emerged after one diver on board, who asked to be named only as Xavier, contacted The Phuket News about the incident. He said the boat left Phuket around 10.30pm on February 1 for a four-day diving cruise to the southern sites of Hin Daeng and Hin Muang. 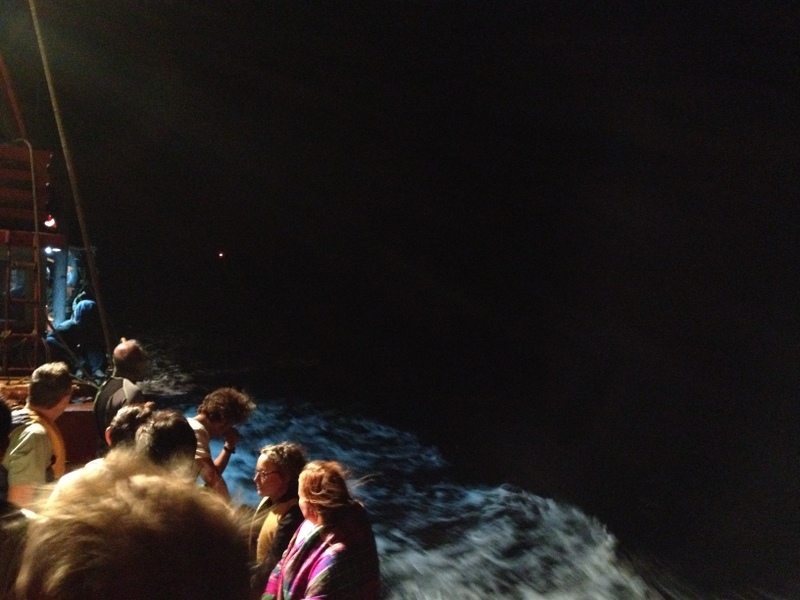 Four hours later, around 2.30 am, while the tourists were all asleep, someone on board smelled smoke and alerted others. 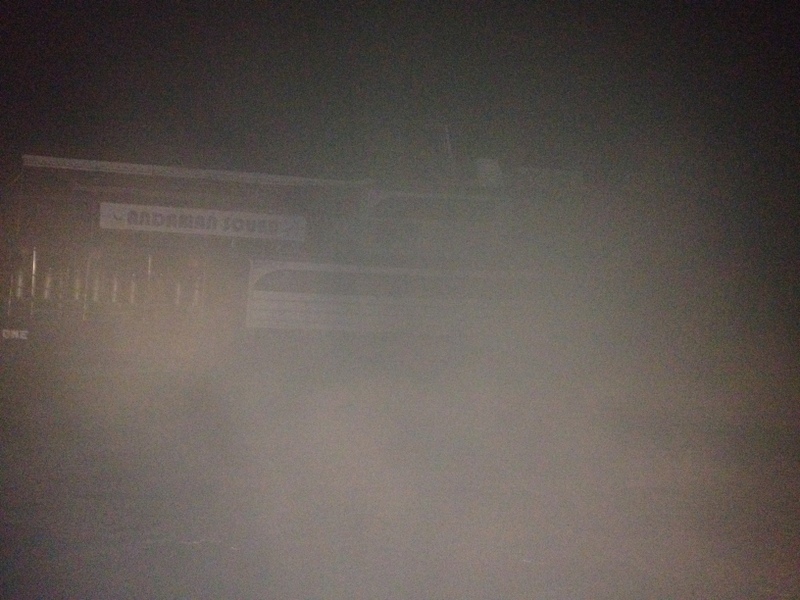 As smoke began to pour into the cabin area from the engine room below, people were forced out onto the open deck. “There were flames, then the crew used an extinguisher. After that the fire was hidden by the large amount of smoke,” Xavier said. All on board evacuated to the top deck, here they realised that the electrical power was out. This meant no more radio, Xavier said. And being so far out to sea, there was no mobile phone service. Xavier said someone on board made an emergency battery using diving lamps, and managed to get the radio working again, but no one had any accurate idea of their position. “We were scared of course, especially because we couldn’t alert anyone to our difficulties. In addition, the lifeboat didn’t inflate when it was thrown into the sea – the crew tried for 20 minutes before it inflated,” he told The Phuket News. 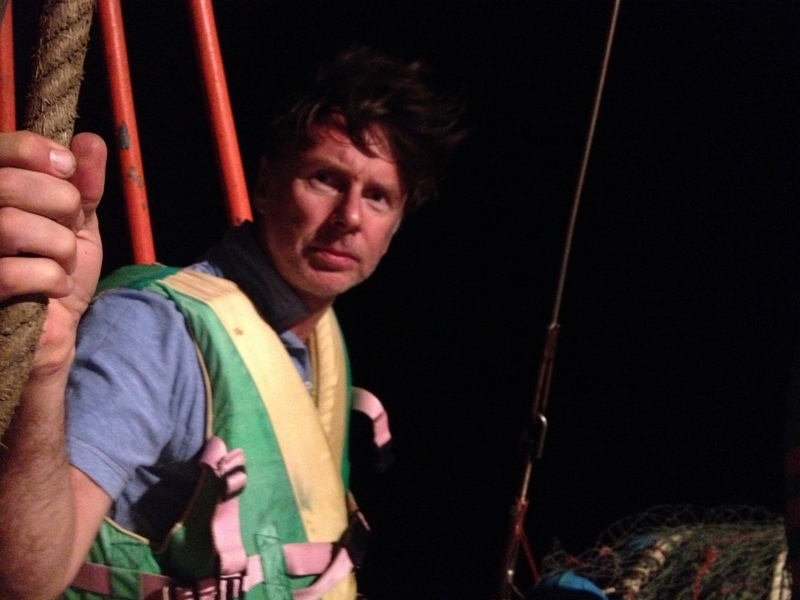 Someone on board managed to use their iPhone to get the GPS location, and around 20 minutes later, the Bunmee I made VHF contact with a fishing boat. 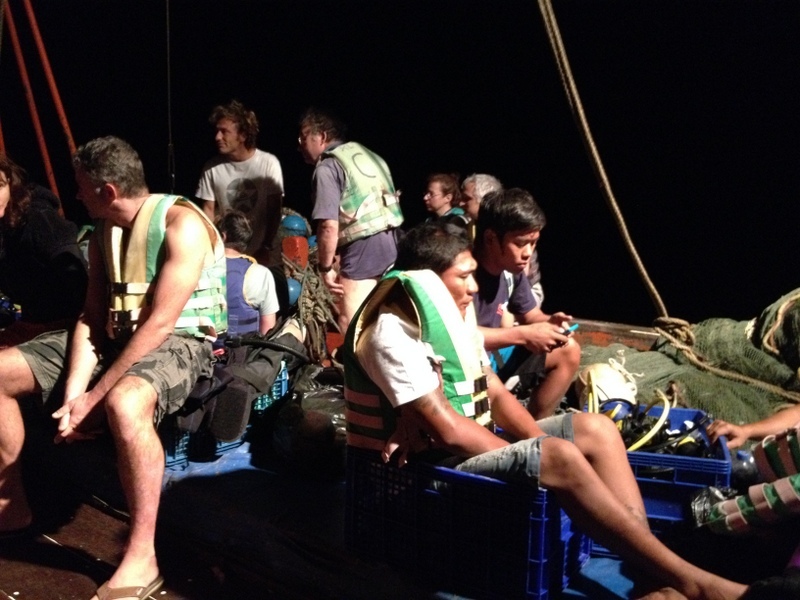 “One hour later, the fishing boat found us and we saw the boat burning before sinking,” he told The Phuket News. 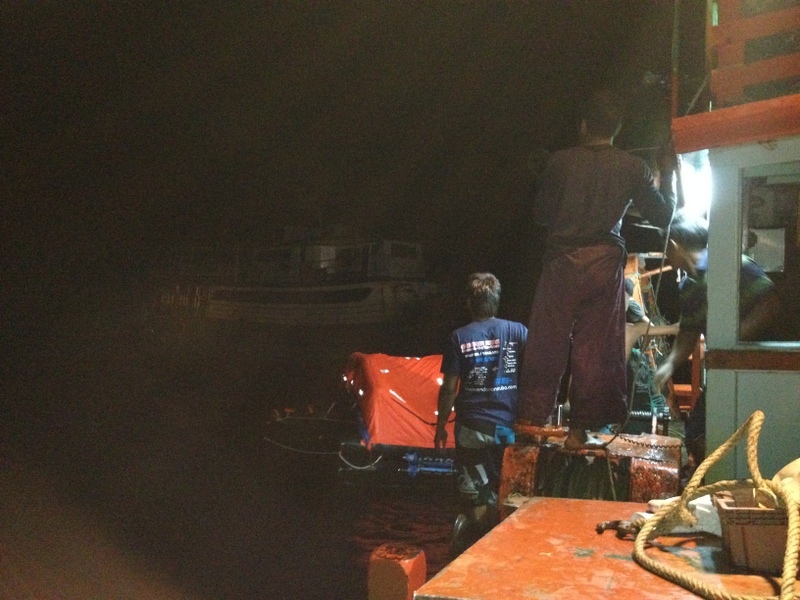 The fishing boat brought all back to Chalong Pier, arriving around six hours later. The Phuket News made repeated attempts to contact the Bunmee I’s owners, Andaman Scuba, but all calls went unanswered. Asked why fires occur on board dive boats, a dive company owner, speaking on condition on anonymity said, “It’s not just dive boats. It’s all tourist boats. “There are three problems: First, the market is so flooded with bad, cheap copies of electrical equipment that it is impossible to buy good, genuine parts, so the parts you buy are not so reliable. “Second, there is a lack of skilled electricians on the island. Some of them think they know what they are doing, but they don’t really. Last Sunday (February 9), the MV Blue Star, belonging to Chalong Sea Sports, caught fire and sank in Burmese waters while on a week-long dive trip. 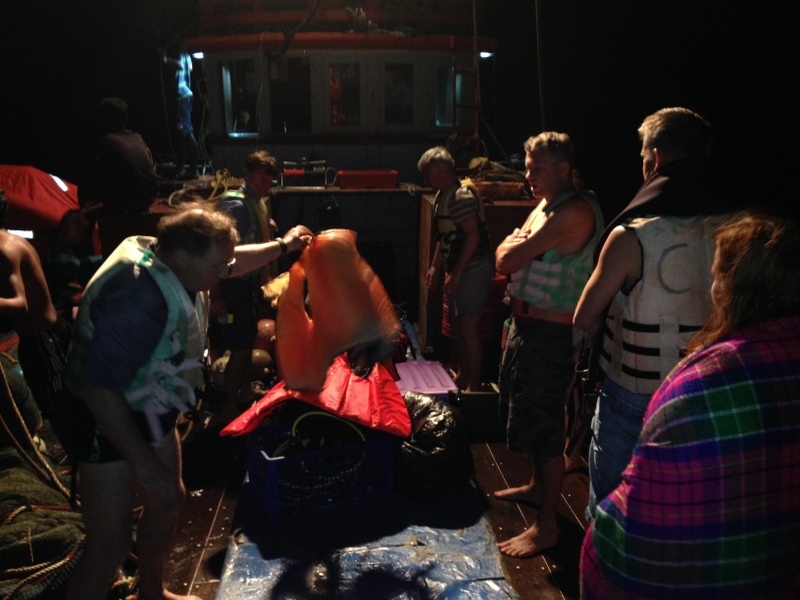 All 20 or so people on board were rescued by a passing fishing boat, though they lost their belongings, and a great deal of expensive dive gear went down with the boat. 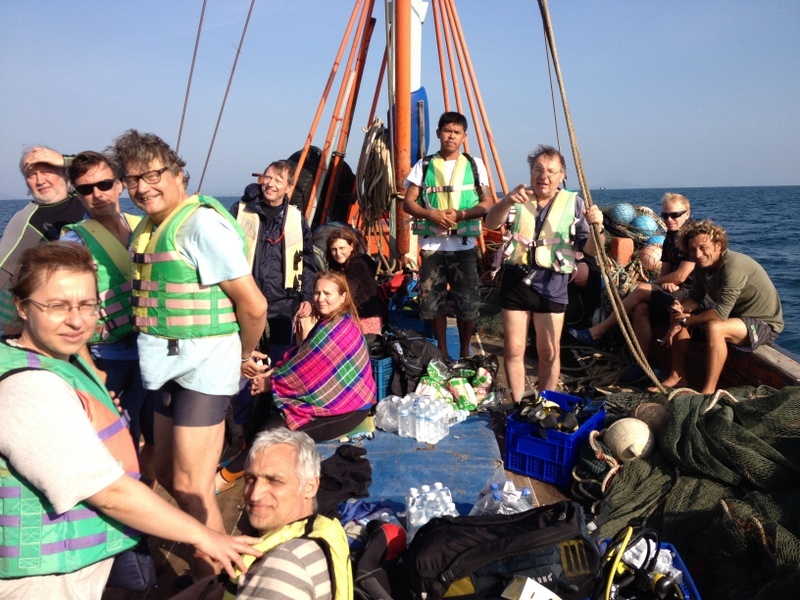 On January 29, the Ranong-based dive boat Magic Carpet sank near Koh Tachai after its hull was holed. 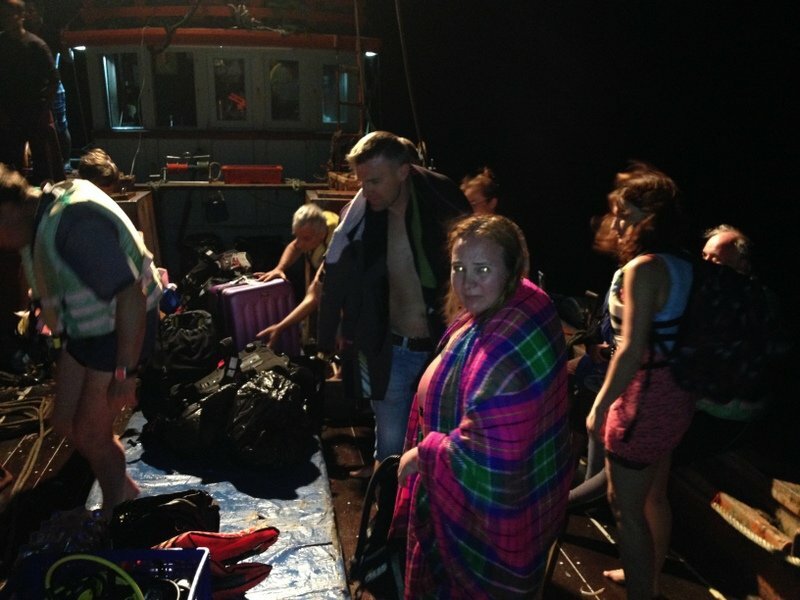 Fortunately the Phuket-based dive boat Peter Pan was close by to rescue all on board the Magic Carpet, which sank so fast that passengers had to leap for their lives, many of them having no time to put on life jackets.